What Is the Purpose of Phase 3? so we can understand why it’s important to take seriously and make choices and decisions with insight. Don’t let whatever troubles or challenges you end up facing in P3 scare you into thinking this is how your body will be forever. Stabilizing your new weight so it stays in about the same place with relative ease. When you lose a lot of weight very fast- say 25-30 lbs in just 6 weeks- your weight is VERY volatile when you first get into p3. It’s going to naturally want to go back to where it was AT FIRST. This is normal, expect it. Sometimes you will find your weight stabilizes out very quickly and you don’t have any hairy scary situations with your weight freaking out, but that’s not always the case, so it’s good to be prepared for what might be, and then be pleasantly surprised if it ends up being easier than you thought. In Robin Woodall’s book Weight Loss Apocalypse she discusses how important keeping your hormones in a level state are to getting your weight stable. This is why it’s so important to keep starches and sugars out of the picture because these types of foods can have a very profound and fast acting impact on hormone levels which while your body is in an, let’s call it, “unsteady” state, can lead to rapid fat gain, more so than normal, say in Phase 4. It’s not that you should never eat carbs or that you should always eat low carb – it’s that during P3, these types foods will have an especially strong effect on your system until you’re body has adjusted to it’s new weight. The hypothalamus and homeostasis – the video mention among other things, the hypothalamus is kind of like the ultimate control for homeostasis. 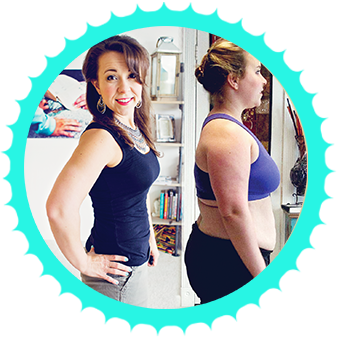 Have you ever been at a weight where you feel like even if you maybe cheated a little or ate more than you probably should have, your weight still stay about the same, or perhaps it went up but all it took was a day of clean eating to put it right back where it was? My weight is like there where I’m at 124-125. Pretty much for the last 5 months, my weight has been somewhere between 124-125 and if it went above, it was only for like a day from either water retention, overeating, or muscle soreness. This is not where you will be at the start of P3 but it is P3 that will get you TO this point. Especially this first week can be scary folks! Your weight might easily go up and down 2lbs overnight from small indiscretions. That is why Dr. Simeons made the guidelines he did requiring that you abstain from starches and sugars for a period of time so that your weight could get used to being in this new place and get comfy there. The scary part is worrying if it’s going to always be that changeable. It won’t. Believe me, as p3 progresses, as long as you are following the guidelines, your weight will get more and more stable with time. Eventually it will stay around the same weight quite well (barring occasional temporary gains from too much sodium one day or ovulation/period). That is why you can eventually eat carbs and sugars again (in moderation). You really can. I eat organic corn tamales all the time now, loaded baked potatoes, lots of fruit, refried beans, etc,- and my weight stays the same- I fluctuate consistently between 124-125 lbs. But if I were to eat any of those things in phase 3, watch out! The scale would do a number on me. So you really will find that as time goes on, most will not be trapped into eating low carb forever. But it’s a process of gradual introduction of these higher carb foods, once you have spent some time having your weight get stable where it’s at first. But few will find that they have complete free reign when it comes to carbs either. You can gradually start eating carbs, but you will find that you can’t have them everyday- you may find your body stays in balance best when you say, have tamales one day, but the next day or two eat more clean/low carb. You may find there are certain food groups, whether higher carb or not, that your body is just sensitive to and you may find that your weight just stays stable more easily without them entirely for the long term. the toxins in our food and environment are also something our bodies weren’t meant to cope with and our body can use storing fat as a way to shield our bodies from those toxins we’re ingesting. To me this means that we may not be as “free” to eat as we might have been without these 2 factors. You can have a some control over both these factors- I know without a doubt that I wouldn’t be able to eat as freely as I feel I do without my consistent crossfitting, and we can control to some extent what’s going in our bodies by avoiding GMO’s, choosing organic etc. – however, that can be expensive and you may not always be able to afford doing that 100%. But really, any changes you make is better than no change. I hope this helps! Stay tuned for Parts 2 and 3 discussing the other 2 purposes of Phase 3. Hi, I hope you can help me. I am about to start the program but I dont understand the table of phase 3, more specificly, i dont know what the numbers mean. Which numbers/table are you referring to? Hi, I am new to this and have a few questions. I hope you can help…. I have been in phase 3 for about ywo months now. My ending weight from the vlc was 126, I eventually stayed around 127-128 for a few weeks, as I really got back to my workout schedule my weight went up another pound and a half (muscle) and now I have been around 129-131. Let me tell you that I have not cheated once!!!!! I had about 10 lbs to lose at the start of this, and although I am eating clean, I am worried that Im gonna keep gaining. I am only 5 lbs from where I started and not even eating carbs or sugar, another fun fact is that it seems I have gained yet again, because of ovulation so I have been at 132 for the last two days. (I know your body gains during this and tom) but, I feel like Im gonna lose my mind…. any suggestions?? How do I stay at 129, without doing a correction day every two days!!! I really enjoy your videos, the information and support you provided. I recently discovered some valuable information and wanted to share… Eating for Your Blood Type. I am reading this book that discusses your blood type and how different foods effect our body ~ weight gain vs. loss. Tons of valuable information, it’s worth reading. I am about to start Phase 3 and plan on using the information in this book to help reach my goal. Thanks for all you do! Phase 3 is actually the most important part of the diet, if you do not get it right, you will pack on the pounds, I gleefully ignored Phase 3 during my second round of HCG, went on a trip overseas, enjoyed exotic foods, gained back the weight I lost during Phase 2, and had to wind up doing a third round, its very important to do phase 3 because it allows your weight to stabilize and not to react to occasional excess, which happens in real life, vacations, holidays, social events. If you fail Phase 3, its a guarantee the weight will return with a vengeance. I have watched almost all of your videos, but recently concentrated on the ones concerning P3, especially the purpose of P3. I have done several rounds in the past but always end up regaining a large portion of my loss. You made it so clear to me that stabilization is the key to P3. So, this time I was very slow and conscious of any new food introduced in P3 and was ultra conservative about it. I found that I never needed a steak day, my weight was always within the 2 lb range. I have just successfully stabilized in my P3 round and am moving into P4. I intend to do the same in P4, introduce gradually, only one or two new food items at a time so that I can gauge the effects they have on my body. I feel so much more in control this time. The previous rounds, when I was done with P3 I was just kind of turned loose with no real plan or direction. I didn’t think about the slow re-introduction of foods. So I ate what looked good and the scale would climb and I would have no idea what the true cause was because I wasn’t journaling and introducing with purpose! This time will be different, I am so stoked! Thank you, Chica, for making sense of the protocol and helping us to wrap our brains around it so we can own our health. Hey @disqus_SF1axHHcdw:disqus! How wonderful to hear you are doing so well with Phase 3 now. Thanks so much for sharing – I was curious would you by any chance be interested in letting me interview you about your Phase 3 experiences – I think we need more info about what doesn’t work and what does work for others- you’ve probably seen some of my hCG interviews- would you be interested? I want to start having some interviews focused more on P3 successes. Let me know what you think! You can email me about it at [email protected] if you’d be open to it- I think it would be very helpful to others. I can tell you more by private email how I do them. Excited for some P4. Then back to to P1, I need patience.